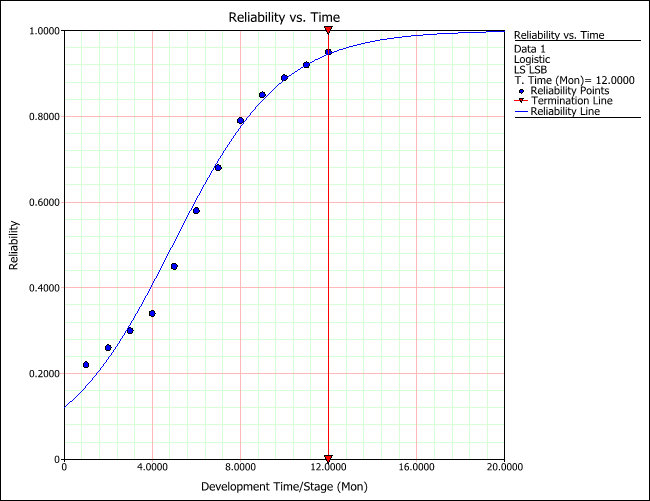 Last month's Reliability Basics article introduced success/failure data in the context of developmental testing reliability growth analysis and listed the models that can be used to analyze such data. In this month's article, we continue the discussion by highlighting the logistic model, available in RGA, and show its application to model success/failure data as well as another type of developmental growth data that consists of reliability values at different times or stages. where b and k are parameters. By linearizing the model and using least squares, b and k can be estimated. Confidence bounds can also be obtained. For more details, click here. When b > 1 then Ti > 0 and an S-shaped curve will be generated. However, when 0 < b ≤ 1 then Ti ≤ 0 and the logistic reliability growth model will not be described by an S-shaped curve. The value of R is equal to 0.5 at the inflection point. A missile launching test consisted of 20 attempts. If the missile launched, it was recorded as a success. If not, it was recorded as a failure. Note that, at this development stage, the test did not consider whether or not the target was destroyed. The goal of this analysis is to estimate the demonstrated reliability after the 20 attempts with a 90% confidence and, if the reliability goal of 90.5% is not achieved, to estimate the additional attempts required to achieve the goal with 90% confidence. The next figure presents the results for the missile launch test as entered in RGA (using the Sequential data type). 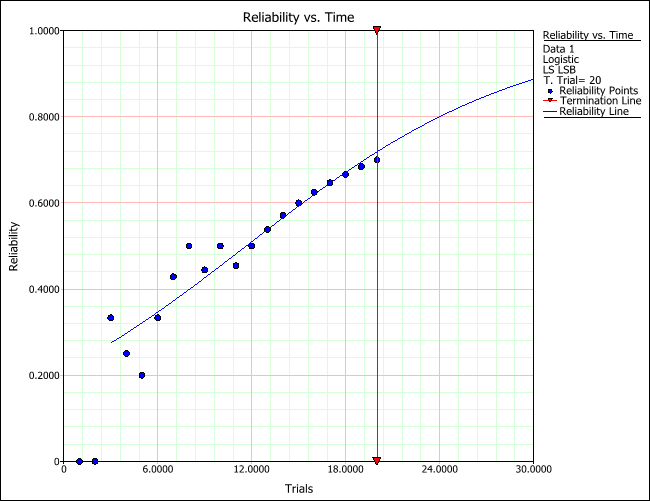 The reliability vs. attempts plot is shown next. At the end of the 20th launch, the demonstrated reliability with 90% confidence is 60.00%, as shown next. 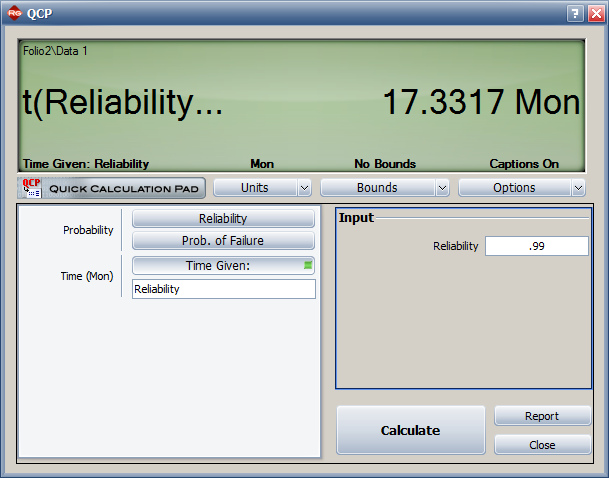 The reliability goal of 99.5% can be achieved after a total of 71.09 attempts (i.e. 51.09 additional attempts) if the testing and design changes continue. The "reliability" data type consists of reliability values at different times or stages. An example is shown next. In this case, the process is monitored at pre-defined time intervals and the reliability for each interval is recorded. Reliability data can be derived using a variety of methods. 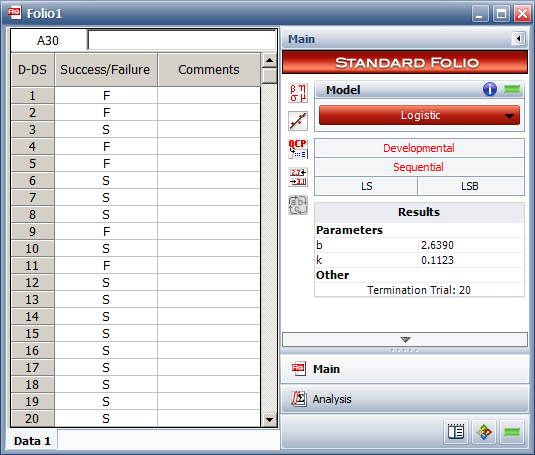 Using success/failure data, the reliability can be computed by a simple ratio of the number of units still functioning and the number of units that entered the test stage. It can also be a list of reliability figures calculated from times-to-failure data from different phases. 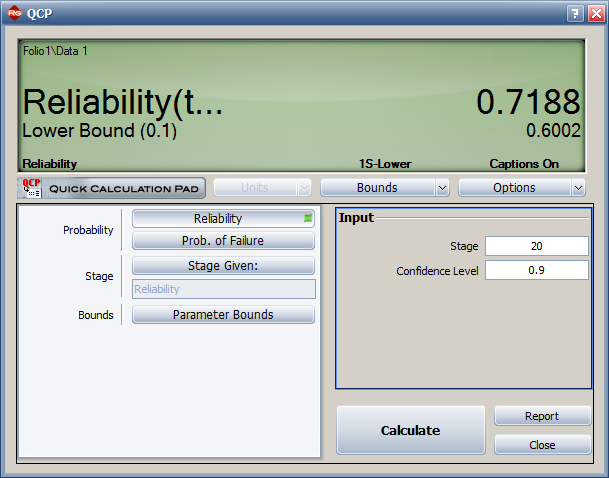 For example, the reliability figures can be based on the demonstrated MTBF attained at the ends of different phases or they can be obtained from times-to-failure data analyzed using life data analysis and related methods. Reliability data can be analyzed with various models, such as Lloyd Lipow (which was covered in the Reliability Basics article in Issue 52), Gompertz, modified Gompertz and the logistic model (which is the subject of this article). The next table presents the reliabilities observed monthly for an automobile transmission that was tested for one year. The goal of the reliability growth program is to achieve a 99% reliability. 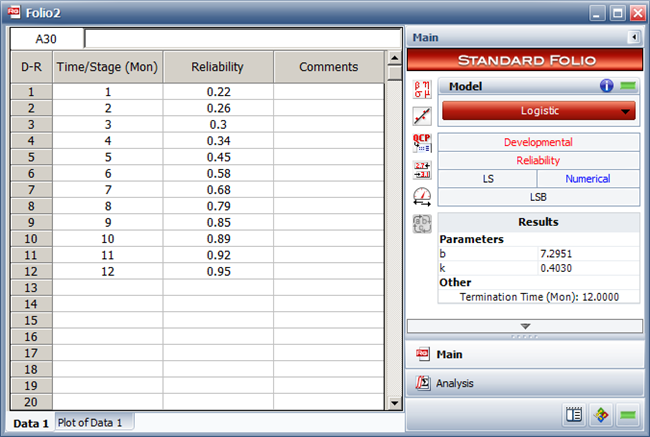 The above data set is entered in RGA (using the Reliability data type) and the model parameters are calculated, as shown next. 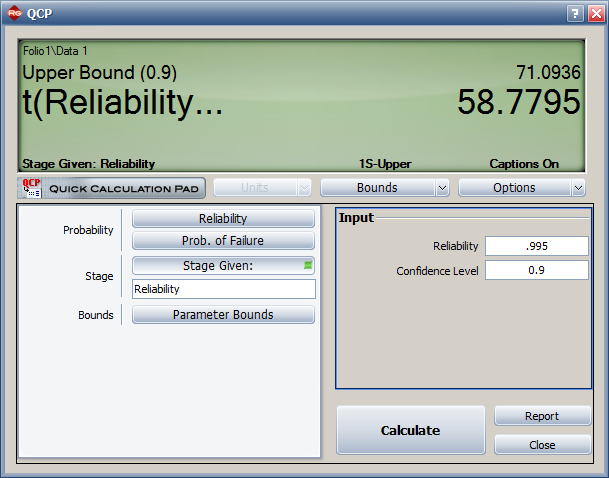 The reliability vs. month plot is shown next. The model can be used to estimate when the reliability goal of 99% will be achieved if testing and improvements continue. The following calculation shows that the goal will be attained after the 17th month (end of October). This article explained a process for analyzing failure/success and reliability data from developmental reliability growth tests using the logistic growth model. The model was used to estimate the reliability throughout the test and estimate additional trials needed to demonstrate a certain reliability goal. 1- Kececioglu, Dimitri B., "Reliability Growth," Reliability Engineering Handbook, Ed. 4, Vol. 2, Prentice-Hall, Englewood Cliffs, New Jersey, pp. 415-418, 1991.